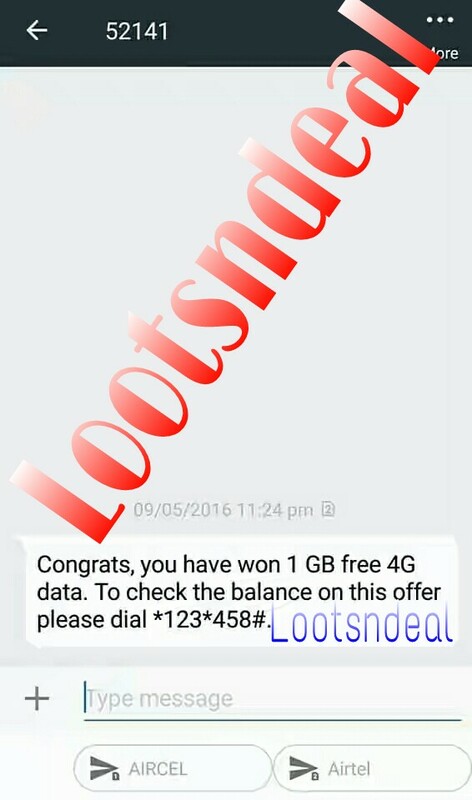 Hello Guys, After Reliance Loot we got a 100℅ verified Airtel Free 1Gb Data Loot. You can avail this offer by Just giving a missed call. So it’s a bug, looters can avail it now. 1. Call On This Number – ‘ 52122 ‘ by your Airtel Mobile. 2. Your call will be automatically disconnected after some rings. 3. Then You will get an SMS that you have won Free 1 GB Airtel Data. Note – You can not avail this offer if you have availed previously by any other mode. >>>Confirmed in Bihar, Up and Working In Most If The Circles.